The secret to any business is communication. We want to make sure your every cleaning and maintenance need is addressed each and every day. This team of managers are the people who will make sure you are getting what you pay for and then some. We are there 24/7 to work for you. 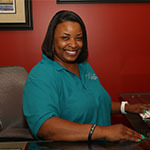 Latasha has been with Alpine for almost 10 years. She is an officer of the company and is responsible for the day to day operations of Alpine. She oversees all areas of operations and serves as an adviser to the owner. 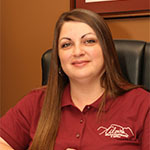 Vanessa has been with Alpine for the past 16 years and is now in charge of the department of Human Resources. She works daily to insure that the custodians are working efficiently. She works with the training managers to make sure that all the custodians are trained properly and that all their paperwork is in order. She is also responsible for the hiring of new team members. Earryl is responsible for making sure your custodians know everything there is to know about cleaning. After 4 years with Alpine he insures that our custodians do it the “Alpine way”. He oversees all the aspects off training and visit custodians, on the job, on a nightly basis. Earryl is also the Alpine security officer making sure that all keys and alarm codes are accounted for. Gerardo (Gerry) has been with Alpine for 16 years. Gerry is responsible for overseeing our largest customers and running one of our floor crews. Gerry is also in charge of chemical selection After 23 years in the cleaning industry he works closely with the owner to insure that our equipment and chemicals meet the standards we are looking for. Rodolfo has served on the Alpine team for the past 16 years. 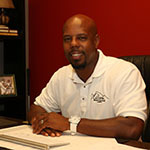 He oversees on of our largest customers as well as manages the crews on several other large buildings. He works closely with Gerry to insure that the floors in those buildings meet the owner standards and the customers specifications. Edwin has been with Alpine since 2017. His family has worked at Alpine for the past 20 years. Edwin eye for detail and his quality of cleaning is an asset to the company. He runs the crew that insures that customers are taken care of in the absence of their normal custodian. He also makes sure that each one of customers receives the highest quality cleaning possible. 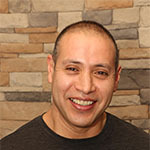 Cesar has worked with Alpine for many years as a part time floor tech until taking a full time position in management. 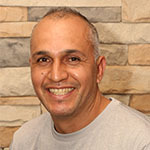 With over 30 years experience doing floors of all types he brings a large knowledge base to Alpine. He oversees the floor crews and makes sure all of our equipment is in good shape and researches new equipment to be purchased. Josh insures that all issues with custodians and customers are taken care of on Friday night and throughout the weekend. His organizational skills are a big asset to Alpine and his job. He makes sure the weekends are productive and run like a well oiled machine.